and start customizing your decoration from 39€. Enter your address & set-up date and time. and your reservation Information in the checkout. Inform your hotel of the delivery. We deliver any hotel in Paris. Open the door and enjoy! Follow the trail of red, silk rose petals to the bedroom area. Order possible until midnight the day before. We transform your room into a true love nest, according to the theme you've choosen. When you "book" one of our "Surprises", we'll decorate your room either before your arrival or during your stay. Your beloved will find out with amazement, as soon as your room's door will be opened, a trail of roses' petals guiding her to the romantic surprise you've choosen for your love trip. 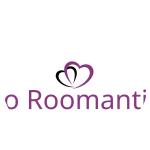 So Roomantic is where love is : love getaway, Valentine's day, honey moon, birthday or wedding list... All in all, So Roomantic is the ideal surprise for every couple. The General Terms and Conditions below apply to all orders placed on the My-romanticroom.com website. They frame the relationship between My-romanticroom.com and the users of this website. 1.1 These general conditions of sale are made known to each customer to enable him to place an order. Accordingly, the fact of placing an order implies the full and unreserved acceptance of the customer to these general conditions of sale. 1.2 No special conditions or other general conditions issued by the customer can prevail over these conditions. 1.3 Any contrary condition imposed by the customer will be, in the absence of express acceptance, inopposable to My-romanticroom.com whenever it may have been brought to its knowledge. The client declares that he / she has the capacity to conclude the present contract, the general conditions of sale of which are presented hereafter, ie to have a legal majority and not to be under tutelage or curatorship. 1.4 These General Conditions of Sale are subject to French law. • Reservation possible up to 3 hours before. • Delivery area: Paris intramuros. Contact us for another area. • The cost of delivery is included in the sale price of the product for any delivery to Paris. 2.2 The customer undertakes to fill in the order form with precision and to fill in the existing entries (address, delivery address, method of payment, ...). In the event of an error in the name of the recipient's address, My-romanticroom.com can not be held responsible for the impossibility of delivery to the recipient. Expenses related to the re-routing of the package to another addressee or to a new delivery address will be borne by the customer. 2.3 The customer orders by clicking on the "shopping cart" in front of each product. The order is summarized. In order to allow the customer to return to his order before validating it definitively, the system proposes two validation screens (one confirming the selections made and one validating the customer's coordinates and a new basket). The command will only be saved at the third and final validation by a confirmation message. This last "click" is assimilated to the handwritten signature referred to in article 1341 of the French Civil Code, hereinafter referred to as the "clic d'acceptation". As of the "acceptance click" above, the order is considered irrevocable and can not be called into question except in the cases limited hereafter. 2.4 Payment: The settlement of purchases is by credit card (Visa, Visa, Eurocard / Mastercard). The Customer shall indicate directly in the areas provided for this purpose the number of the card, its date of validity and the control code on the back of the card. The total amount of the order will be debited from the credit card on the day of the order. The Seller reserves the right to suspend any order management and any delivery in case of non-payment or refusal of authorization of payment by credit card from the officially accredited and usual bodies of the Internet. 2.5 Each product inquiry is subject to acceptance by My-romanticroom.com reserves the right to reject any order for any reason whatsoever, due in particular to the supply of the products, a problem concerning the order (ex : Abnormal order), price inconsistency due to an update error or qualified malicious behavior (hacking act), or to a foreseeable problem concerning the delivery to be carried out. My-romanticroom.com reserves the right not to confirm an order in case of incomplete or incorrect customer information and for any other legal reason. In case of out of stock, the customer will be offered the refund of the initial product or an equivalent exchange. We undertake to inform you within two (2) working days of your order if we encounter a problem to honor your order. 2.6 The right of withdrawal of 7 days does not apply to contracts for the supply of perishable food products, such as chocolates. Also, the customer can not rely on it. However, an amendment or cancellation of its part may be taken into account insofar as the parcel is in preparation. 2.7 It is provided, from the registration of the order placed, to send an e-mail confirming the order taking, recalling the order number, the product references and quantities requested. By keeping these mails and / or printing it the customer holds a proof of his order. My-romanticroom.com recommends that you keep these documents. Cancellation until midnight the day before the delivery: 100% of the price of the service will be refunded. Modification are free until midnight before the day of the delivery, except picnics. 3.1 The prices of the products are indicated in EURO, Taxes included and shipping included. These are revised regularly and without prior notice depending on market fluctuations. The calculation of the basket, as well as the validation screen of the order is in EURO All Taxes Included, including postage. The shipping costs are borne by the customer. Any change in the VAT rate will be reflected automatically on the price of the products. The prices indicated on the order form are therefore understood in Euros TTC, from our shop. French VAT of 5.50%, 10% and 20% applies to orders destined for France. 3.2 My-romanticroom.com reserves the right to change prices at any time. At the time of an order, the products will be invoiced on the basis of the tariffs in force at the time of the validation of the order. 3.3 The products remain the property of My-romanticroom.com until the full payment of the price. 4.1 The processing and shipping costs are included for all deliveries to Paris. 5.1 The availability of products and services is provided on the site in an indicative manner. It only becomes definitive when the order is confirmed. 5.2 My-romanticroom.com can not be held responsible for the unavailability of a product in the delivery, insofar as the customer has received the information prior to the delivery of his order. 6.1.1 For any delivery in Paris, the atmospheres are prepared and packaged, delivered and installed by My-romanticroom.com. My-romanticroom.com reserves the choice of the carrier and guarantees the routing of the products. 6.1.2 The customer is responsible for the particulars of the name and address of the consignee, which must be precise, accurate and complete (door code, floor, telephone ...) to allow delivery under normal conditions.My-romanticroom.com can not be held responsible for a return of delivery due to an error of address or an impossibility to deliver to the indicated address. If the return of delivery or the impossibility to deliver is due to a lack of information or an error of address, the re-delivery will be invoiced in full to the customer. 6.1.3 Warning: Orders indicating an address in a post office box can not be taken into account. 6.1.4 The products being perishable, the delivery person can not retain an order that would have been forgotten by the buyer. 6.1.5 For reasons of hygiene and food safety, perishable foodstuffs such as chocolates are neither taken back nor exchanged. Provided that the person receiving the order is present at the time of delivery. In case of delay, Chocolatchezvous.com can not be held responsible for the strikes, the dysfunction of the transport services. Consequently, no claim of any kind whatsoever can be claimed by the customer.Chocolatschez.com undertakes to report by e-mail or telephone any risk of unusually long delivery time. In periods of high activity, delays may not necessarily be guaranteed. 7.1 The transfer of ownership of the products to the customer takes effect only after full payment of the price by the customer. 7.2 My-romanticroom.com assures the risks of loss and deterioration of products until delivery to the recipient. The risk transfer is therefore carried out from the moment when the recipient has acknowledged receipt of the products. 8.1 Claims or disputes shall always be received with careful consideration, good faith always being presumed to be exercised by the person who takes the trouble to set out the dispute. 8.2 On receipt of the products, the customer must ensure the conformity of the delivery with his order. Any damages must be subject to specific reservations, dated and signed, on the delivery note. 8.3 In accordance with the provisions of Article L 121-16 of the Consumer Code, the withdrawal period granted to the customer on the purchase of goods, within the framework of the Law, is 7 (seven) clear days, starting from The date of receipt of his order. During this period, the customer may return, at his expense, without further penalties, the Product (s) not suitable for him. The customer can then choose between the refund of the products in return for the redirection on the other hand, the exchange of the Products ordered. It is understood that the Product (s) returned at the expense of the customer will have to be in good condition, as delivered by My-romanticroom.com with a copy of the invoice. Products must be returned unsealed. The customer must contact the service My-romanticroom.com by registered letter with acknowledgment of receipt to the following address: My-romanticroom.com 4 allée des troènes 94240 L'Hay les roses. All complaints must be made within 48 hours after receipt, at the service My-romanticroom.com, 4 allée des troènes 94240 L'Hay les roses by registered mail with acknowledgment or by e-mail: reservation @ my-romanticroom .com. After this period, no claim will be taken into account. 8.4 This complaint must be justified and accompanied by proof of the damage suffered (bill of lading, ...). After the analysis and acceptance of the complaint by My-romanticroom.com, the customer can choose between the refund of his order or a re-delivery. On the other hand, in accordance with the provisions of Article L 121-20-2 3 ° of the Consumer Code, the purchaser does not have a right of retraction for perishable goods, especially chocolate. 9.1 All product returns must be the subject of a formal agreement between My-romanticroom.com and the customer and must be returned within 48 hours of the agreement. After this period, no return can be taken into account. 9.2 Any acceptance accepted by My-romanticroom.com, in the event of an apparent defect or non-conformity of the products delivered, which will be ascertained by My-romanticroom.com, will allow the customer to obtain the free replacement or the return of An asset for his benefit, to the exclusion of any other indemnity or damages. In order to protect your privacy, My-romanticroom.com treats all information about you with the strictest confidentiality. When purchasing, we only ask for the necessary information (name, first name, full address, e-mail) for a quality treatment and a careful follow-up of your order. These data entered online are saved on a secure server and are immediately encrypted. We declare all of our files to the National Commission of Informatics and Liberties. 10.4 My-romanticroom.com disclaims its responsibility for any breach of its contractual obligations in the event of a force majeure or fortuitous event, including, but not limited to, disasters, fires, internal or external strikes, internal failures or failures External, and in general any event not allowing the proper execution of the orders. My-romanticroom.com guarantees the quality and freshness of its products for three weeks, from their departure from Paris, provided that the conditions of conservation. The customer must not in any case resell the products which are intended for his personal use or that of the person to whom the order was sent. NB: the pictures of our site are not contractual.